Let’s take a few minutes to discuss what you want and need out of your health care coverage. Affordability is probably at the top of the list, especially if you’ve been struggling with Obamacare and its high premiums. A close second is probably quality of coverage. Thrown into the mix could be autonomy and choices, along with a few other necessities. If you’ve decided health insurance just doesn’t work for you, you should consider switching to a health care sharing ministry. The savvy shopper in you will be glad you did. Health care sharing ministries are nonprofit organizations that facilitate the sharing of qualifying medical expenses among members. 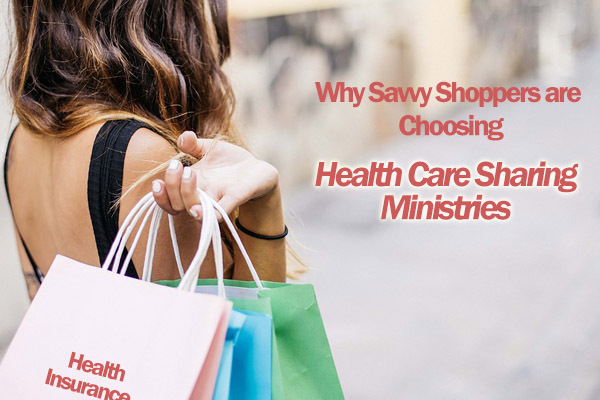 Health care sharing ministries don’t offer insurance because they aren’t insurance, but they do offer healthcare coverage that exceeds traditional insurance in many ways. These nonprofit organizations have been around for decades and have gained popularity in recent years due how displeased people are with insurance. Members tend to see significant savings. On average, members pay half of what they were paying for traditional insurance. Now, you’re probably thinking that’s too good to be true, but it’s not. Costs are lower for several reasons. Health care sharing ministries encourage healthy behaviors and lifestyles in members, such as exercising and no smoking. As a result, members tend to be healthier, which leads to fewer visits to the doctor. In addition, most ministries don’t cover things like birth control and preventative care. Many don’t cover pre-existing conditions until a certain time length has passed. All of this contributes to lower costs. In health care sharing ministries, the government is cut out completely. Be honest—haven’t you dreamed of a day when the government stopped trying to micromanage healthcare coverage? In addition, since members typically pay out of pocket and then get reimbursed, members tend to be more conscious of health care costs (and are often even given discounts for paying with cash). You don’t have to worry about staying in a specific network or going to a specific set of doctors. With health care sharing ministries, you have your choice of doctor. This may not seem like much, but it can make all the difference when receiving the best care tailored to you as an individual—and not as just another number. Call our customer service at 800-913-0172 and talk with your trusted personal benefits consultant (PBM) for more information or how to apply.